Qatar Islamic Bank (QIB) is a specialist bank that provides commercial banking, savings, investments, asset management services including fund and portfolio management, brokerage services, real estate financing and development all in accordance with Islamic principles of Shariah Law. 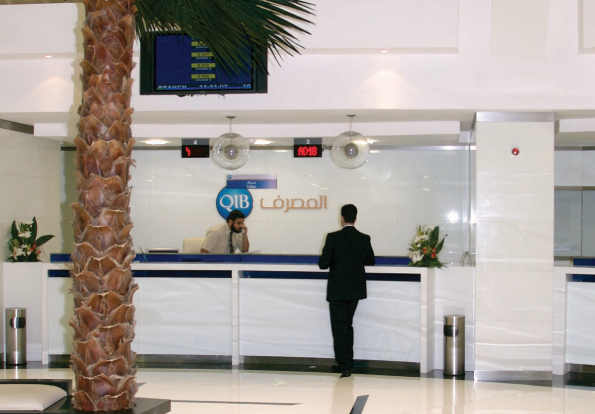 Qatar Islamic Bank (QIB) needed a Time Attendance system that is able to accurately record and manage employees over its many branches in Qatar. Multiple ACTAtek Fingerprint and Smart Card units were deployed for each QIB branch. Transaction logs gathered from the ACTAtek terminals are processed by QIB TA software to generate employee reports and payroll calculations when needed on demand. The Qatar Islamic Bank (QIB) was able to utilise the advanced, fully featured ACTAtek Time Attendance systems across its network of branches without compromising on the key issues of quality, ease of use and affordability.